Great wines must begin with quality grapes, and that’s what makes the wines of the Yamhill Valley so distinctive. 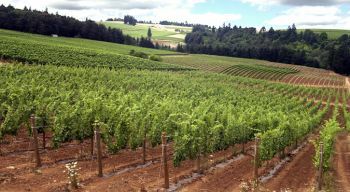 Soil and climate make this small slice of Northwest Oregon an ideal location to grow the difficult Pinot Noir grape. Those conditions, similar to the reknown French Bordeaux, plus the performance of Yamhill Valley Pinot Noir winemakers over the past few decades, cretes oft-heard comparisons between the two great winemaking regions. Valley vineyards are producing many other varietals of grapes with growing recognition for quality, and green agricultural practices have become the hallmark of many local vineyard operations.